As Canadian Fashion retailer Joe Fresh continues to expansion into new markets the brand recently promoted Lindsay Cook to the role of Vice President of Marketing and Communications. As part of the role Lindsay will work out of Joe Fresh’s New York office where she will oversee a team focused on growing the brand’s presence across multiple channels including online and offline. 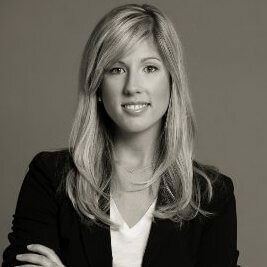 Prior to the move to Joe Fresh, Lindsay worked Loblaw for over ten years in various roles including Senior Director, Global Marketing, Joe Fresh; Senior Director, Global Marketing, Joe Fresh; Senior Marketing Manager, Joe Fresh Style, PC Home & Entertainment and Marketing Manager, Joe Fresh Style, PC Home & Entertainment. PR In Canada reported about the appointment of Kate Buitenhuis to Director Of Global Communications back in February of this year.